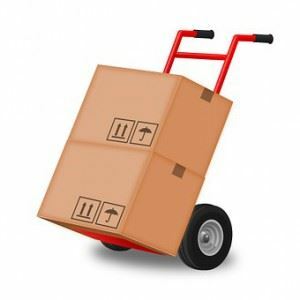 As you start to pack, you want to make sure that what you put in a box is from just one room. In other words, you don’t want to put kitchen stuff in your bedroom boxes. Those boxes should also be clearly labeled as to which room they will go into. You can take that up a notch by using colored tape for your labels. Anytime you have to take something apart in order to move it you should bag up all the parts in a sealable plastic bag. Label what piece of furniture that is and then pack that in a box with the rest of your screws and bolts. You could also tape that plastic bag directly onto the inside that piece of furniture. That way it will never be separated. Moving means you get to do a lot of pre-organizing. This is where plastic storage bins are going to be a big help especially with seasonal items like holiday decorations or clothing. Instead of boxing, them up put them in their new storage bins and again label everything. Additionally, you should get a plastic bin for all your liquid cleaning supplies. That way they spill it will be contained and won’t ruin anything else. If you had to wrap everything in bubble wrap, then you could spend a fortune. Instead, you’ve got perfectly good padding in the form of towels, socks, T-shirts, blankets and sweaters. Use those items to wrap up your breakables. They’ll all be headed to the same destination! You have probably accumulated a lot of things center last move but that doesn’t mean everything has to come with you into your new space. There could be all kinds of furniture, appliances and clothing from the closet that you can do without. All of that can be turned over to Junk King Chicago. These are the professional junk haulers who will provide you with another moving crew that will do all the lifting and loading of your unwanted rubbish. Most of what Junk King Chicago collects is either donated or recycled so nothing has to go to waste. Start off in a new home that is totally junk free with help from Junk King Chicago. This entry was posted in Chicago Junk Removal and tagged clutter, Junk King, Junk King Chicago, junk removal, next move on June 30, 2017 by Junk King. Last updated June 30, 2017 .